As we step out of winter into Spring, it’s important to pay close attention to our hair. The dramatic change in the weather, humidity, moisture and heat can have a damaging effect on the hair if care is not taken. In this blog we explore this effect and the attention and hair care regime that is required to keep the hair healthy, shiny with that luxurious spring bounce. We ask a few leading hair salon owners and hair specialists for their advice on this important seasonal transition. What are some of the effects winter has on ethnic hair? During the winter both hair and scalp tend to be dryer than average many women will suffer from dry scalp more than usual. It is important during the winter to keep the hair and scalp more moisturised if you do find your hair and scalp has been affected. Do avoid heavy and/or perfumed oils on the scalp as this may cause irritation. Winter is a time when we usually stay indoors more due to the cooler temperatures outdoors; we wear hats and scarves for protection from the cool air, which dries our tresses out. Generally, most homes have dry heating which tends to make our hair more susceptible to damage from dry air with little to no moisture. As a result of these conditions ethnic hair becomes dry and frazzled, leaning towards splitting ends and dry brittle hair conditions. Note: we also tend to drink less water in cooler weather; this is also a major factor in the dry hair game during the winter months. How important is paying attention to scalp moisture as spring approaches? It is very important to pay attention to the scalp year round, but especially as the seasons change from one to another. Our skin and hair reflect what is going on inwardly with our entire body, so when we move from the dry, cold season to a warmer and moisture enriched environment our hair care regimen will undoubtedly have to change. With respect to moisture, the air will be filled with lots of moisture allowing your hair to breathe by changing your hairstyles to more free flowing and loose special care should be given to problematic conditions not resolved from the winter months and move forward to a new beginning of happy healthy hair and skin. Deep conditioning, Oil treatments, switching cleansing products and eating fresh foods that are in season, remembering to keep up with your water intake is very crucial as well. What are the best shampoos to use, and how best to apply it? The shampoo you would use depends purely on the condition of your hair at that moment in time. During the winter period it is essential to use a moisturising shampoo and conditioner, which can be alternated with a protein range if your hair is weak or damaged. You should apply the products to your hair using a stroking motion from roots to ends making sure all the hair is saturated. Is conditioner essential or not and which are best to use for winter hair? A conditioner is always an essential for Afro hair to close the cuticle for smoother hair after shampooing. It is very important to use a conditioner after shampooing your hair. Shampoo opens up the hair cuticle to ensure that it is cleansed thoroughly and the conditioner closes the cuticles and smooth’s the hair shaft to leave your hair soft. If you do not use conditioner the cuticles will remain open and your hair will become damaged. Any tips for applying conditioners? Apply the conditioner ends to roots as the ends are what need the products most, as that’s the old hair it tends to be dryer. Also it’s further away from the root so it’s takes longer for your natural oils to get to it. What oils would you recommend for spring hair and advice on applying them? During the spring you can opt for lighter oils such as coconut oil or jojoba oil, can be reapplied daily depending on your hairs needs. Spring oils are lighter and more delicate and needed sparingly in application and frequency. Nourishing oils are great for Spring. Jojoba oil is an excellent oil for Spring while rich with Vitamin A, E and D it mimics our natural scalp sebum. Argan oil is high in Vitamin E and Omega 3and 9 with lots of antioxidants which are great for damaged unmanageable hair. Avocado Oil is high in proteins, healthy fats and amino acids, Vitamins A, D, E and B6. 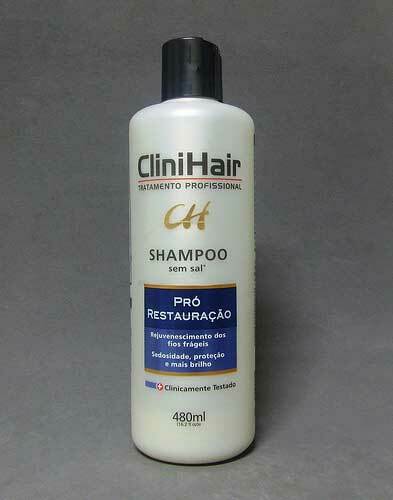 The proteins aids in repairing damaged hair cuticles and prevent future breaking and frizz. Sunflower Oil is rich in Vitamins A, B, C and E also rich in Minerals like Iron, potassium and calcium, antioxidants and fatty acids alike. Sunflower oil has high content of Oleic Acid which is Omega 9, responsible for stimulating hair growth and preventing brittle hair and hair loss. Is diet and vitamins important, if so what to eat and what to ditch? It is also important to stay hydrated as drinking lots of water helps with your hair skin and nails. Our hair is made up of protein, so protein rich food is always a good thing. Ensure you have a healthy balanced diet including iron, protein and omega-3 fatty acids are all good for promoting healthy hair. Foods such as Avocados, Nuts and Chia seeds are all forms of good fats/ omega-3 fatty acids. Diet is key so pay attention to the following: Fatty Acids A diet rich in essential fatty acids (like flaxseeds, salmon and whole raw milk) can help alleviate dry scalp. Kelp, is a seaweed, and excellent source of essential and trace minerals needed for proper functioning of many bodily systems. Kelp is especially high in iodine, which is known to support hair growth and scalp healing. To be safe, talk to a doctor or dietician about using kelp for scalp health. Drink plenty of clean pure water. Keeping yourself hydrated with water is a complete skin saviour especially when it comes to your scalp. Drink 10 – 8oz glasses of water a day. Adding some serious hydration to your diet will help balance out scalp issues and is the most effective, inexpensive and easiest thing we can do to support healthy hair and skin. Eat plenty of fresh organic water filled fruits and vegetables. Eating fresh fruits and vegetables, whole grains and healthy fats like olive oil and avocado are the key to maintaining optimum balance to hair, skin and overall health of the body. Processed foods and boxed meals, sodas, fruit drinks and excessive coffee drinking 1 cup a day should do! Processed flours, sugars, grains and bagged snacks of processed stuff. 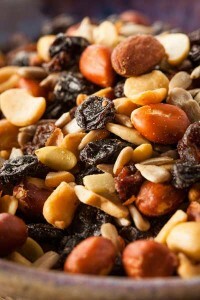 Try a trail mix, granola mix or fresh fruit as a healthy alternative. Drink water as much as possible and herbal teas like mint, ginger, and green tea are great as well. Natural whole grains are better for us, such as wild rice,black rice, quinoa, barley, whole wheat etc. Some women suffer excessive dandruff after winter, what could be the causes and what remedies you would suggest? When your scalp is flaky, though, it may be the result of too much oil rather than too little oil, a common misconception is that dandruff is caused by dryness. In reality, it’s due to an overgrowth of a harmless yeast-like fungus Malassezia globose, which lives on your scalp, feeding on skin oils when immune defenses are down it can become an opportunistic pathogen. Dandruff is shed skin; dandruff sufferers shed skin much more rapidly than other people. This happens because the fungus uses enzymes called lipases to metabolize the oils, which creates a by-product called oleic acid. The acid penetrates your skin and triggers skin excessive cell shedding. What brushes are best for keeping the scalp spring fresh and flake free? It is best to use either a large wide tooth comb or a tangle teezer when detangling your hair after conditioning to avoid tension on the scalp. 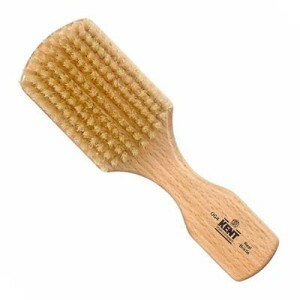 When blow drying or brushing your hair on a regular bases a paddle brush is kinder the hair and will make life easier. Gently brushing the scalp stimulates circulation of the blood and allows the blood to feed the hair root promoting hair growth. There are a number of brushes as listed below but you should choose a brush that is not too coarse with soft bristles that will not tear your hair. Wooden Brush naturally assist in conditioning hair allow even distribution of natural or added oils, also gentle on the hair less likely to cause breakage. Static free wooden bristles feel like fingers massaging your scalp, crafted from Bamboo which is a sustainable source as bamboo regrows rapidly after harvest. Pure Boar Bristle Brush can be used as a dry shampoo and to stimulate your scalp and circulate your skins natural oils. These brushes create minimum breakage and are gentle to the scalp and hair. This brush is not for detangling it is however great for smoothing, cleaning and shine. Sisal Hairbrush – Boar Bristle alternative made from sustainable Beech wood and feature Sisal bristles These brushes are eco-friendly and 100% Vegan The wood is oiled for moisture protection, but washing is not recommended. Sisal brushes are designed for deep exfoliation and massage, have no glue; clips are used to secure the bristles in place. These brushes are gentle on hair and scalp massaging lightly to stimulate circulation for healthy hair growth. Environmentally friendly, 100% natural, long lasting healthy hair care. Sisal bristles are made from Sisal plants or (coconut husks and agave plants). Finally any brushing tips and hair and scalp care tips to reduce breakage and to keep the hair strong throughout spring? Always use a soft good quality brush as the bristles in them usually have a better quality tip that doesn’t cause snagging on the hair, will go through tangles easier. Is steam treatment good for Spring hair? Regular steam treatments all year round will prevent breakage and maintain strong healthy hair. Avoid over using heat, such as, blow drying, straighteners and tongs and try protective styles like braids and weaves every so often to allow your hair time to rest. Explain some of the techniques for stress free brushing? Never brush hair that is tangled and/or knotted hair. I t is important to detangle curly hair with either your fingers or a wide toothed comb along with a cream or oil to keep hair soft and easy to manage. During your brushing session if you encounter tangles, stop immediately add some oil to your hands and detangle with fingers. Part hair into 4 or more sections as needed. Brush from scalp to ends to help distribute the oils evenly throughout the hair strands.Hold hair apart by double strand twisting and wrapping into a ball or knot. If clips are necessary use flat clips not clips with teeth or hair bands with rubber that can catch up, tangle and break the hair. Start in the back at the nape hairline, which generally is the oiliest area of your hair whereas the crown is generally the driest. Brushing from the back towards the crown helps redistribute the oils from the back of the head to the top. Brush from ear to ear across evenly row by row for best results. No hard plastic or wiry brushes, gently brush through your hair and it will respond and become soft and manageable. Brush once a week or as often as your schedule permits as it is beneficial and promotes healthy skin/scalp and vibrant healthy hair. Naomi is the owner of The Hair Sanctuary salon based in Manchester and with over 10 years experience in the industry she can advise an all your hair care needs. The Hair Sanctuary caters to all hair types with emphasis on Afro hair and offer a range of services from a classic cut and blow to specialist extension techniques. You can find us via the following sites…. Muslimah N. Khatim, Las Vegas NV.